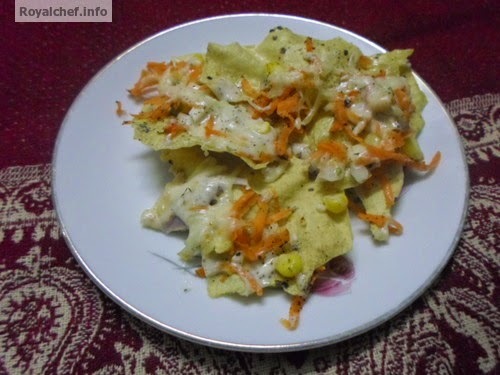 This is a very simple Recipe for making at home Papad Nachos. This is a Mexican dish but I have changed it suit Indian tastes. 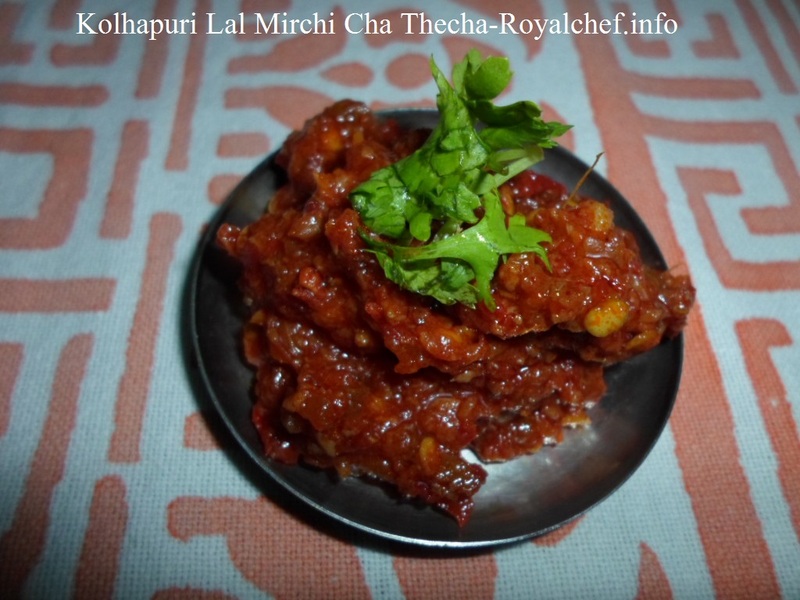 Apply the half tea spoon Oil over the Papad and then roast it in the Microwave for a minute on both the sides and then break the Papad in to four-five pieces and arrange over the non stick plate. Garnish with the Sweet Corn Niblets, Carrot, Onion, Tomato, Coriander, Cheese, Salt, Pepper and then pre-heat the microwave and grill the Papad for three minutes. कृती : पापडाला थोडे तेल लावून ओव्हनमध्ये भाजून घेवून त्याचे मोठे तुकडे करा ते तुकडे एका ओव्हन च्या प्लेट मध्ये ठेवा व पापडाच्या तुकड्यावर मक्याचे दाणे, गाजर, कांदा, टोमाटो, कोथंबीर मीठ, मिरे पावडर व किसलेले चीज घालून घ्या. ओव्हन गरम करून प्लेट ओव्हन मध्ये ठेवून २-३ मिनिट ग्रील करून घ्या.